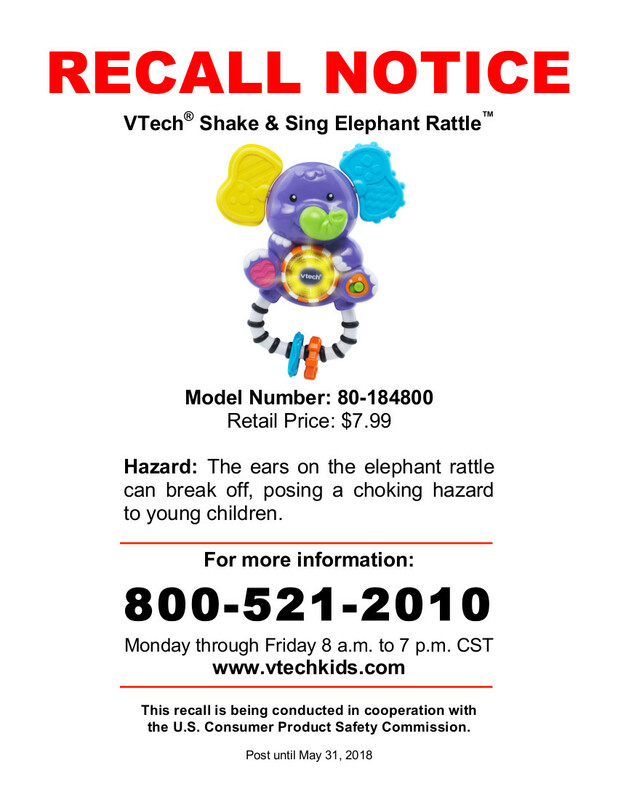 VTech has recalled its Shake & Sing Elephant Rattles in the USA because there is a potential choking hazard with the toy designed for babies from three months. The ears on the elephant can break-off, posing a choking risk to young children. There have been five reported incidents where ears have broken off, however, there have been no injuries. 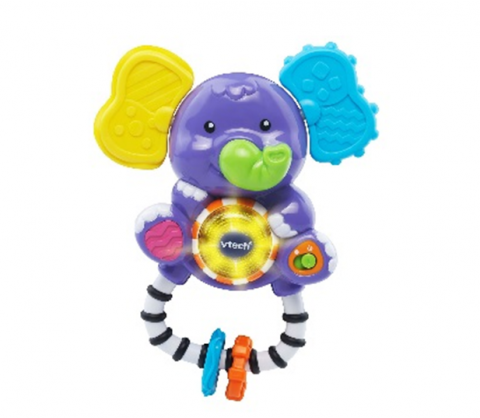 Purple, yellow and blue in colour, this rattle is powered by batteries to enable it to sing. 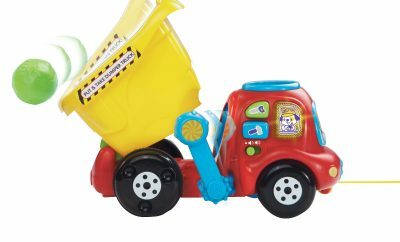 Vtech’s logo is stamped on the toy and the number 1848 is printed by the battery compartment. The product’s packaging has the barcode 3417761848036 and the model number 80-184800. 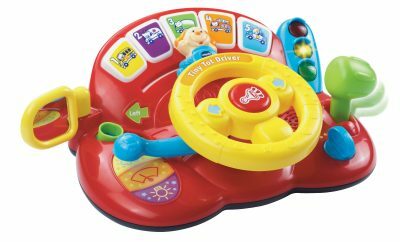 If you have one of these, stop its use immediately, VTech is offering either a refund, credit or a replacement product. The company can be contacted in the USA via telephone number 800-521-2010 from 8 am to 7 pm central time Monday through Friday. You can also visit the company’s website and filling-in an online form. These rattles have been sold since November 2015 until November 2017. Around 280,000 have been sold by a variety of retailers, including Walmart, Kmart, Meijer, Mills Fleet Farm, Seventh Avenue, Amazon.com and zulily.com. The product was made in China.